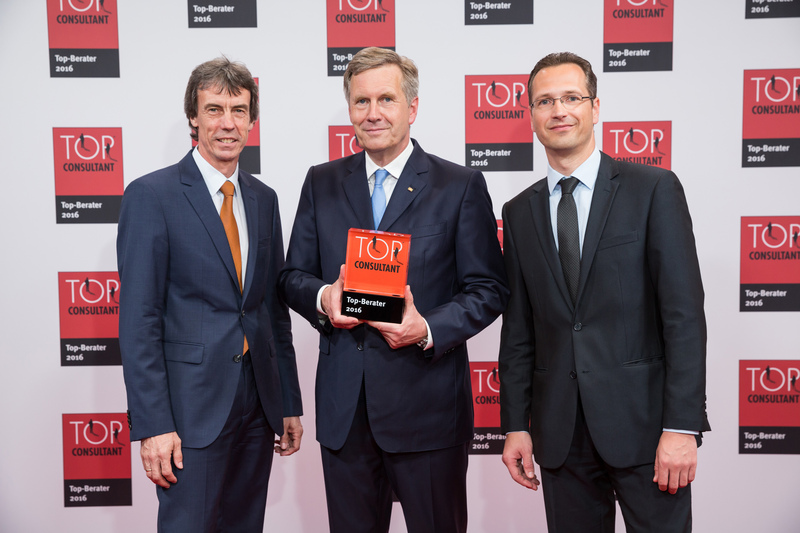 LOCOM Consulting GmbH, based in Karlsruhe, Germany, was honored on 24 June 2016 at the 3rd German SME Summit in Essen by former German President Christian Wulff as “Top Management Consultant 2016”. During a gala at Colloseum theater Essen the top innovators and best consultants for german small and medium businesses for the year 2016 have been awarded. Analyzed and evaluated were the consultants under the scientific direction of Dr. Dietmar Fink, professor of management consultancy of the Bonn-Rhein-Sieg University of Applied Sciences and director of the Society for Management Research. Evaluated were the competence, the professionalism of consultance and customer satisfaction. A differentiated questionnaire was used to interview SMB reference customers with up to 5,000 employees. The logistic consulting company LOCOM scored above average ratings, especially in the criteria technical and methodological expertise, integrity and loyalty.